BoA and Tohoshinki have been chosen for the “Artist Hall of Fame” by the online store “Amazon.co.jp”. To commemorate “Amazon.co.jp”‘s 10th year anniversary of service, 111 people/groups of artists and authors have been selected for the “Artist & Author Hall of Fame” based on customer order requests and customer reviews, for their contribution of splendid work. 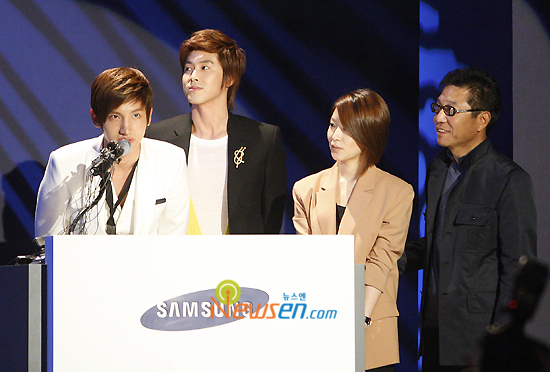 As singers from Korea, BoA and Tohoshinki are lined up shoulder-to-shoulder with other Japanese artists. Others selected for the “Artist & Author Hall of Fame” include: AKB48, Ayumi Hamasaki, Utada Hikaru, Namie Amuro, and of course, Arashi, as well as economics critic Kenichi Ohmae and novelist Murakami Haruki. SJ Kim Hee Chul, TVXQ’s U-Know Yunho, actress Lee Yeon Hee and the other celebrities who are under the same company had visited Boa to show their support to her comeback stage after cessation of her activities in Korea for 5 years. On that day, Yunho who had no time for his poster shooting due to musical ‘Goong’ practise, still took time out from his busy schedule to give support to his senior Boa who is under the same company as him by visiting her at KBS recording site. You are at the top of the world!… I’m looking forward to your album~! Hello everybody~ This is Changmin! 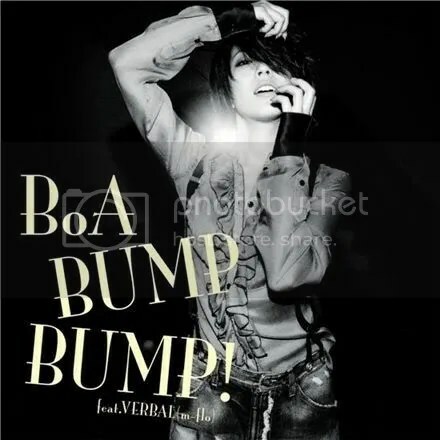 At last, BoA sunbae’s 6th album that we’ve all been anticipating is going to be released! Since this is BoA sunbae’s 10th anniversary, please show her your warm and everlasting love!! She’ll use her amazing singing and dancing to awaken everybody’s eyes and ears. I promise! ^^ Also, isn’t she a beautiful girl! Director James Cameron and his team of producers behind Hollywood blockbuster pic “Avatar” have agreed to produce the music videos and concert videos for BoA, TVXQ and other artists under agency SM Entertainment (SM) in 3D format. Cameron — currently in town for the annual Seoul Digital Forum — met with Korean conglomerate Samsung Electronics’ executives and SM founder Lee Soo-man at the “3D Content-Related Cooperation Plan” event, held today at Samsung offices in Seocho District, where they announced news of the collaboration. According to the plan, “Avatar” producers will be filming SM artists’ music videos and concerts in 3D and electronics giant Samsung will use the 3D content in the company’s worldwide marketing plan for its 3D television products. The filming for the 3D concert is expected to begin “around June” in Korea, presumably at live music concerts featuring BoA, TVXQ and Girls’ Generation. SM Entertainment, considered one of the top talent agencies in Korea, just yesterday disclosed information on its earnings for the first quarter of the year, indicating its most successful first quarter to date. The firm recorded operating profits of 10.4 billion won, or over nine million dollars, during the three month period, which is an increase by an astounding 471 percent from the same period last year. BoA has been one of the most successful K-pop artists since first making her debut ten years ago and is one of the first Korean artists to make a major breakthrough into the Japanese music industry. She also made her U.S. debut in March 2009. Five member boy-band TVXQ is also one of Asia’s top artists with reportedly the largest fanbase in the world but they have ceased working as an entirety since July last year after three of its members, namely Hero Jaejoong, Micky Yoochun and Xiah Junsu, became embroiled in a legal battle with SM. Singer BoA together with 2 members of TVXQ U-Know Yunho and Choikang Changmin finally appeared in front of Korean public after a long time. The three on May 14th at 11:00 am attended SM Entertainment and Samsung Electronics’ collaboration press conference in regards to expansion of 3D-related content, meanwhile the producer of the agency, Lee Soo Man attended along with them. At the event day, SM and Samsung through the press conference described thoroughly the business direction they’re going to conduct with the director of 3D movie ‘Avatar’, James Cameron. The main issue of this collaboration with Director James Cameron of Avatar is to produce music and concert videos of SM Entertainment artists in 3D and Samsung will take the advantage for the 3D content in marketing their 3D TV. Samsung Electronics with production team of Avatar from Director James Cameron has already held a Full HD 3D LED TV Global Launch event at New York Time Square in last March, and at the event, the 3D video of Black Eyed Peas live live performance was captured, ever since the 3D TV has been actively marketed.